In the past, social media was a micro-world that people used for connecting. Somebody had told you about Facebook, and you remembered that you have some old friends across the ocean that you hadn’t heard from in a long time. 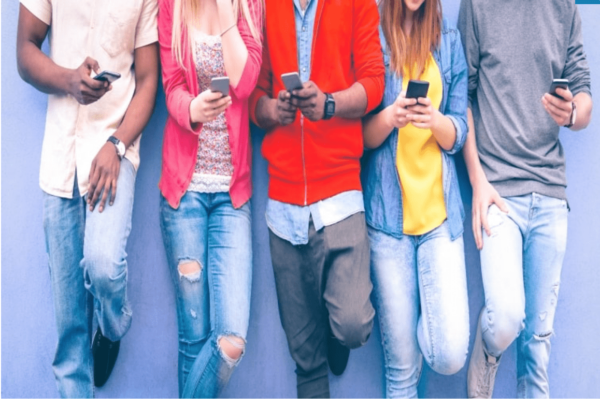 However, many of today’s social media users (such as teens and younger Millennials) have advanced a hyper-connected world. Since then, social media has evolved dramatically and is now a channel for marketing, advertising, and publication. They can create complete marketing funnels – from brand awareness to advocacy. Here we will show you ways to optimize your social campaigns to boost your lead generation and conversion rate. Even the smallest tweaks to your social media management can impact the outcome and success. In the last few years, digital marketers have learned that increasing engagement has a more significant impact on their lead generation than increasing their follower count. But boosting participation is also more difficult and time-consuming. Luckily, some simple tweaks can help you improve your social engagement. In other words, you should determine when your target audience is most active on social media. You can start with some research-based statistics or begin your research. All you need is a social media management tool to track your audience engagement. Schedule a few posts throughout the day for one month. At the end of the month, access your social media analytics, create reports, and look for any engagement patterns. Putting out your original content and research on social media is a great way to establish yourself as a thought leader. However, you shouldn’t miss curating content and share pieces posted by others. Whenever you share a valuable part of the material from peers, influencers, or other brands, remember to tag their profile. That way, you’ll encourage more engagement from them directly. Also, when responding to a comment or question from a follower, label them to make sure they are notified about it. Humanize your brand by making it act like a person instead of a company. Using hashtags is excellent for boosting engagement. The problem is when using the hashtags that so many others also use. It can drown your content. So, you can mix up your branded hashtags with niche hashtags to make tracking engagement easier as well as to encourage your audience to use your tag. It’s also a way to track and gather user-generated content. A current trend in social media is the increased usage of visuals. Posts with pictures are more engaging and generate more comments, shares, and likes than text-only posts. When you pair a compelling image with written content, people will retain more information days later. Very few brands do it, but it can make a difference. People are more likely to develop a more profound and trusted relationship with a brand that responds to comments. You need to give to receive. With a unified social media inbox, you can stay on top of all your social media interactions and make sure all the comments get answered. Long gone are the days when the brand-consumer communication was a one-way street. Another one of the smallest tweaks to your social media management that can help you stand out. You shouldn’t follow back everyone that follows because it will lose its value. Make sure to support those who are already loyal customers or who regularly engage with you. You wouldn’t believe how such a simple gesture can take you a long way when it comes to encouraging engagement. Long-form content is increasingly more valued by your followers who want in-depth knowledge as well as for your site’s SEO. Industry trends are easy topics for starting or engaging in social media conversation. People are more likely to engage in social media conversation with you when you post about things that are already on everyone’s mind. It’s one of the tweaks to your social media management that will help you boost brand visibility, increase interactions, and spark discussions. By pulling out quotes from the content you share, you’ll make things more personal. So, after you’ve done reading an article, copy and paste one of the key takeaways or favorite lines, and post it as a quote. That way, you’ll show your audience what made you share that post and what you liked the most about it. Many marketers hesitate to include new social media features in their social media campaigns. For example, Instagram released many new features in the last few years, like Stories, Instagram Live, and IGTV. Brands often wait for others to test them and report back. By being an early adopter, you won’t miss out those opportunities to be the first one to interact with people through a new channel. Those features have fewer users which mean there is less competition. There are many social media management tools out there, but not many of them are so unified and all-encompassing as eClincher. You can connect all your social media profiles to a centralized dashboard which allows you to control and monitor everything from one place. Schedule and publish posts, auto post, monitor mentions, keywords, and hashtags, and interact with your followers directly from a unified social media inbox. With eClincher, you will never miss to respond to a comment, get notified about mentions or hashtags, or answer direct messages. Social media networks are one of the most powerful tools for business marketing. There; your marketing efforts have bigger chances of succeeding. With these tiny tweaks to your social media management, you’ll manage to make your brand more humanized and stay in touch with your target audience.